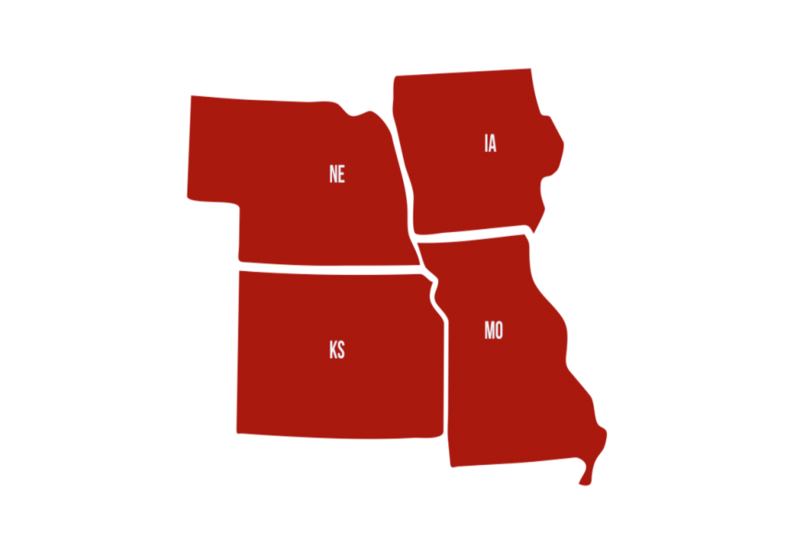 Region IX includes the states of Nebraska, Iowa, Kansas, and Missouri; the Archdioceses of Dubuque, Kansas City KS, Omaha, and St. Louis; and the Dioceses de Davenport, Des Moines, Dodge City, Grand Island, Jefferson City, Kansas City-St. Joseph, Lincoln, Salina, Sioux City, Springfield-Cape Girardeau, and Wichita. 322,000 Hispanic Catholics born in the U.S.
30% are Hispanics / Latinos born in the U.S. 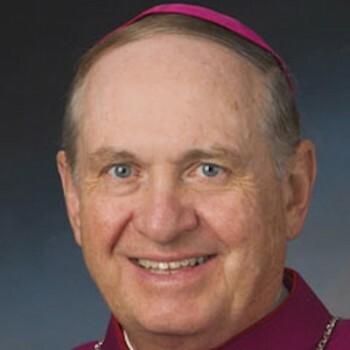 Sent 70 delegates to the National Encuentro, including 2 ENAVE/ERAVE and 4 bishops. 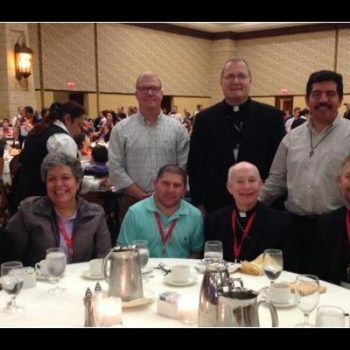 The Regional Encuentro was celebrated with 144 delegates and 3 bishops. 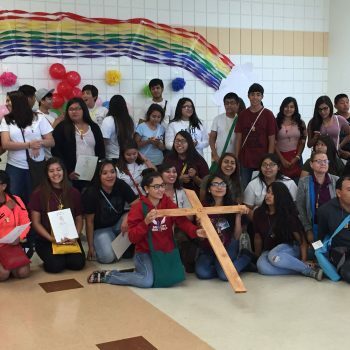 14 Diocesan Encuentros were celebrated, with total attendance of 1,461. 100 parishes / organizations conducted the five sessions and 74 held a Parish Encuentro. 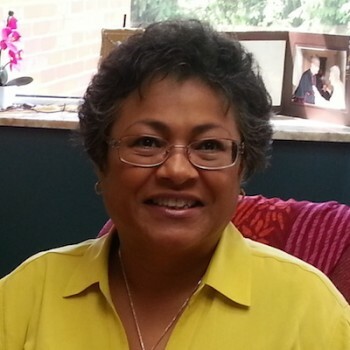 1,403 leaders from 106 parishes received training for the V Encuentro in 47 trainings. 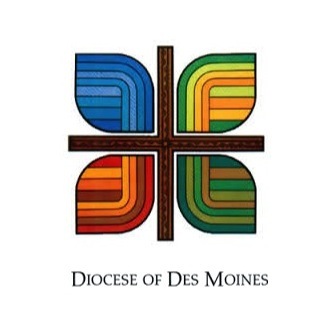 *May include personnel in other offices when their responsibility is for the Latino community, such as the Director of Hispanic Catechesis. 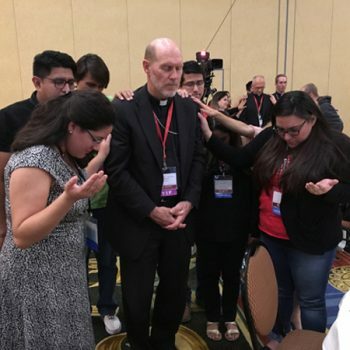 The V Encuentro process provided a more strategic and intentional opportunity to highlight the significance of Hispanic Ministry in our respective dioceses. We received not only financial support but pastoral encouragement to enter the process from the Bishops in our Regional Encuentro. 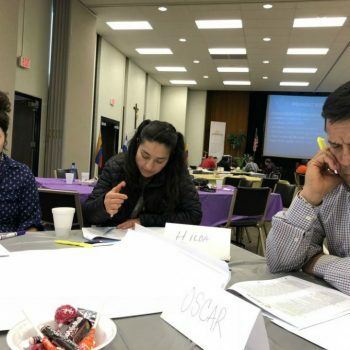 The collaboration of the regional team in working out the details was excellent, and the presence of dioceses that were previously somewhat “quiet”enlivened the regional process. The presence of the ecclesial movements was also visible at the Diocesan and Regional Encuentros. 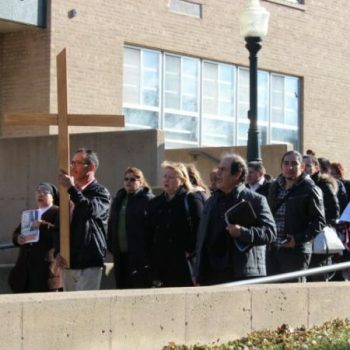 The youth and young adults challenge the Church to be more responsive about social injustices in our Region as they follow the call of Pope Frances to go out to where the marginalized are. 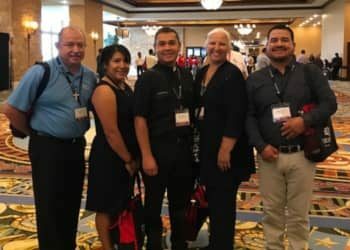 They responded very well to the call for service to other Hispanic youth and young adult leaders across the region, by traveling to other states to offer their leadership skills at other parishes, and they thirst for the opportunity to hold leadership positions and receive more formation. Glory to God!